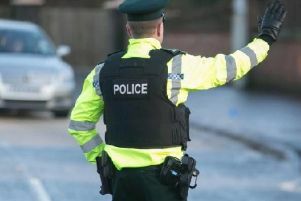 A 68 year old man arrested in Lurgan on Friday, 16 June, on suspicion of a number of offences has been released on bail. The arrest followed the discovery of a suspected cannabis factory in the town. It followed the search of commercial premises in the Wellington Street area of Lurgan on Friday at around 11.30am. “A 68 year old man was arrested on suspicion of a number of offences including cultivating cannabis; producing a Class B drug; possessing a Class B drug and possessing a Class B drug with intent to supply. He was also arrested on suspicion of dishonestly causing electricity to be diverted.